A derivative from French, the word au pair means ‘at par’ or ‘equal to’ as the relationship is intended to be one of equals. It was referred to as far back as 1840 by French author Honoré de Balzac. However, it became more commonly used in the 1960s, to describe an arrangement between two parties, paid for by the exchange of mutual services. The au pair is intended to become a member of the family albeit a temporary one, rather than a domestic worker. An au pair is a domestic helper usually from a foreign country working for, and living as part of, a host family. Typically, au pairs take on a share of the family’s responsibility for childcare as well as some housework, and receive a small monetary allowance for personal use. Au pair schemes are subject to government restrictions which specify an age range usually from late teens to mid to late twenties. In Europe, au pairs work up to 25 hours per week, often adding chosing to engage in part-time study in their free time, generally study is focused on the language of the host country. If you are looking for longer hours or someone with good English or more experience you may be better considering a Mothers Help. The employment of au pairs reached a peak in England after World War II, after the shift in social attitude. Middle class and upper class families who employed domestic servants and Governesses to raise their children found themselves in an economic climate that often demanded a less expensive alternative. Employing a young girl as an ‘au pair’ was a good compromise because as consideration for the reduced monetary payments the young girl would have alternative benefits. As education became more accessible and so did the aspirations of young girls. They found themselves in a position where the experience of travel abroad and knowledge of new cultures and languages were advantageous for career and educational development. 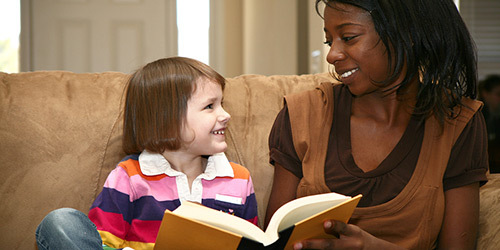 Working as an au pair provided the rising number of middle class ladies required to support themselves, an opportunity to gain this experience by working for families assisting them mainly with the childcare duties aiding the children to learn another language alongside the normal childcare duties. Working as an au pair did not have the stigma that was attached being ‘a servant’ which was regarded as a working class position. Au Pairs were typically middle class girls and were not required to wear uniforms as the domestic staff of the household were. The essence of the Au Pair very much remains as it was; girls that come over to learn about the new culture and develop their English. There is still an expectancy for au pairs to be treated as equals in the family and not as domestic servants. The modern day au pair job role has changed slightly in that they have adapted with the modern day family and are expected to help out with household duties alongside their childcare responsibilities. Household duties expected from an au pair will be light daily tasks. A ‘Dear Family’ letter, comprising full details of their education, family, life style, any work experience, interests and hobbies. Copies of any qualifications and other relevant certificates. A Police Check from their country of origin. At least two written references which can either be character references or from recent employers. 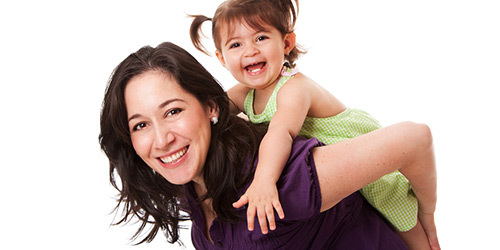 Au pairs are becoming more and more popular with busy working families. 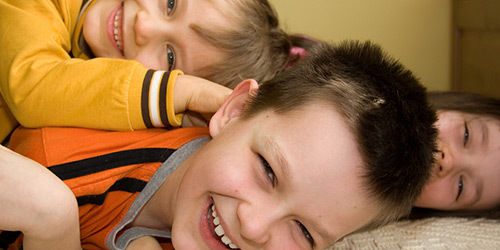 Below we have highlighted just a few reasons you may wish to consider an au pair. Au pairs are fantastic value to families for the services they receive in return. With the weekly salary of £70-£85 per week you get a lot of childcare for your money. There is also the fact that au pairs will contribute to the house keeping which can be a great help to parents that are working full time and don’t fancy coming back to do all the housework. The savings you will make is enough to justify the choice, but there are other more important reasons that au pairs are considered as a viable option for childcare. Having an au pair in your family home is a great opportunity for your children’s education about different cultures. They will build on what they learn at school about different countries. Children are very inquisitive and you’ll be surprised at how much information they pick up asking questions themselves this will give them a first, hand opportunity to experience the cultural diversity in the world. Great stuff! Having an au pair provides your family with a great degree of flexibility when it comes to childcare as having someone who lives in with you is often great if you require baby sitting in the evening (an au pair will do up to 2 nights of babysitting free of charge and if you need more you can arrange it by topping up their pocket money). It is also a great option for split shift childcare. It is very common for an au pair to work for two hours in the morning getting the children ready for school and dropping them at school and then to commence her work the children need collecting from school for 3 hours until the parents arrive home. With an au pair you have the flexibility to arrange your childcare around what suits you as a family. Your au pair will help with housework as part of their contract. This is something that you would not get from childminders or nursery providers. Having an extra pair of hands do the dishes, vacuum or iron the children’s clothes can be a great help when you are returning from a day at work, leaving you time to enjoy a cup of tea and quality time with the children. Having an Au pair allows you to have a greater say on how your children are cared for. It gives you more control over their daily activities and you have the flexibility to send them for daily activities during the day. The children also have the added advantage of one to one attention in comparison to nursery schools or child minders were they will be cared for alongside other children. ***Au Pair Extra: Top tip for families, to get even more for your money why not consider an au pair with extra skills? If your children are learning a particular instrument, sport or wish to excel in a particular subject or interest why not ask the agency to help you find an au pair with that skill so that they can help your child. Getting the most out of your au pair will depend on how well you build the working relationship that you have with your candidate. As a host family there are set responsibilities that you have and if you can make your candidate feel at home as if she is a member of the family you are more likely to get the best care for your children and home. You should where possible invite your au pair to eat with you, f you eat as a family together. Naturally it is not always the case in all households as people have different schedules, but if you are sitting to eat together be mindful not to leave your candidate out. Provide them with their own bedroom. Help the Au Pair to settle in, although we hold regular meetings and provide networks and assistance to the candidates during their stay we do ask that families also aid their candidates to settle into there placement. You should provide the Au Pair with all their food and pay them pocket money appropriate to the number of hours they work. They must have the opportunity to improve their knowledge of the English language, preferably through a local college. If you need your candidate to work longer hours and to be available through the day everyday then a mothers help candidate may be more appropriate. The Host Family should help the candidate register with their local GP so that they have access to a Doctor if they need to during their stay. If you feel that you need more help around the house and possibly longer hours then you may be better applying for a Mother’s help candidate. Please find attached a interview question guide we have prepared for you. This is a rough guide to assist you during your interview.